Home > Love it or hate it? 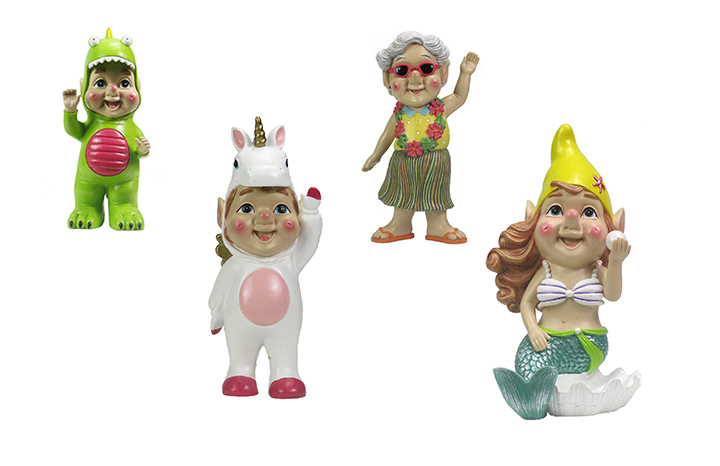 The George gnome range! It's fair to say that gnomes are the Marmite of garden furniture: you either think they're adorable or completely tacky! It seems that our ceramic friends are more popular than you might imagine though, with George Home selling an ever-growing range of designs. Previous styles have included giant versions as well as brides and grooms, but their latest range is wackier than ever! You can now choose between footballers, dinosaurs, unicorns, mermaids, astronauts and more traditional styles, all at £6. It seems the nation can't get enough of the quirky designs, with the unicorn selling out overnight! If you've got your heart set on him, fear not - the supermarket has hastily restocked. Love them or loathe them, it seems gnomes have never been more fashionable!